Indy Bar and Cross longSleeve features back and right arm Print. Indy Bar Cross Logo in Black has back print and right arm print also. Youth fit low profile 5 panel snapback hat with nylon webbing and plastic clasp back closure, custom interior taping and woven logo label on front. 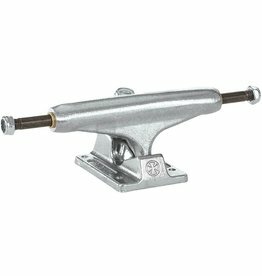 Stage 11 Polished 139mm trucks by Independent. Independent regular fit long sleeve t-shirt with small front chest print, large Hazard sleeve prints. 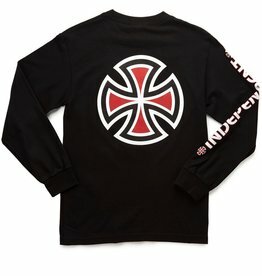 Indy Bar and Cross LongSleeve features and back and right arm print.